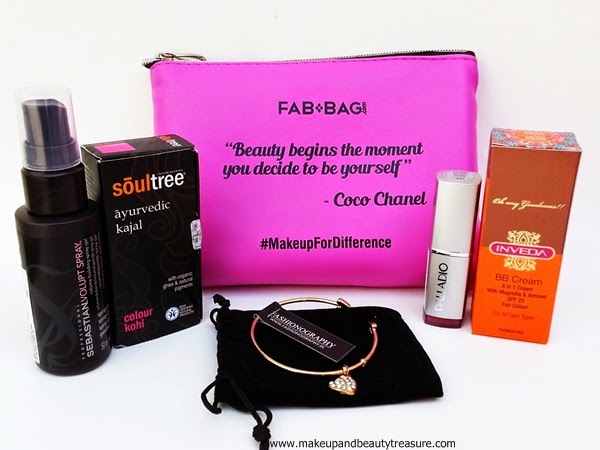 Fab Bag is a great makeup bag subscription in India that provides full sized makeup products. 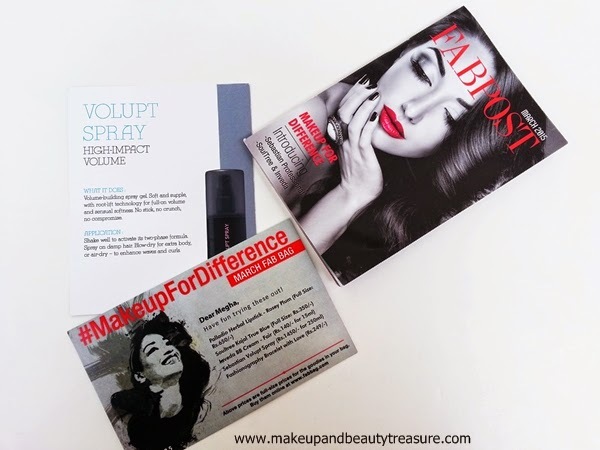 As I am a huge lover of makeup, I am totally in love with this month’s Fab Bag. Today I am going to review Fab Bag March 2015. Price: 599 INR for one month! 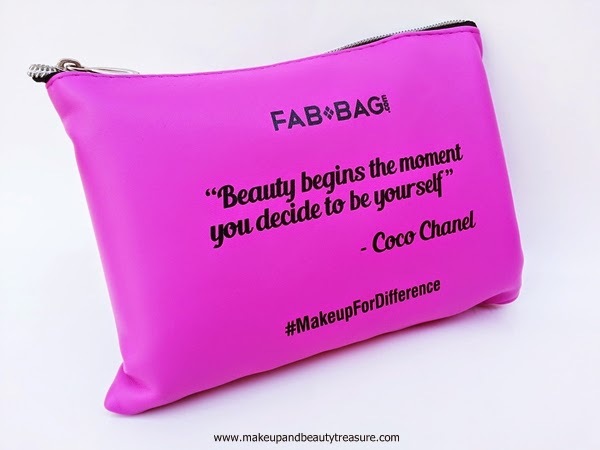 Fab Beauty Bag comes in a rectangular dark pink case with a beautiful quote written over it. As soon as you unzip the bag, you will find 5 products along with a Fab Post Magazine (This month’s magazine is based on the empowerment of women with lots of new products. Worth reading!) and a leaflet showing the price and name of the products contained in the beauty bag. The bag contains 3 full sized products, one sample sized and a fashion accessory. 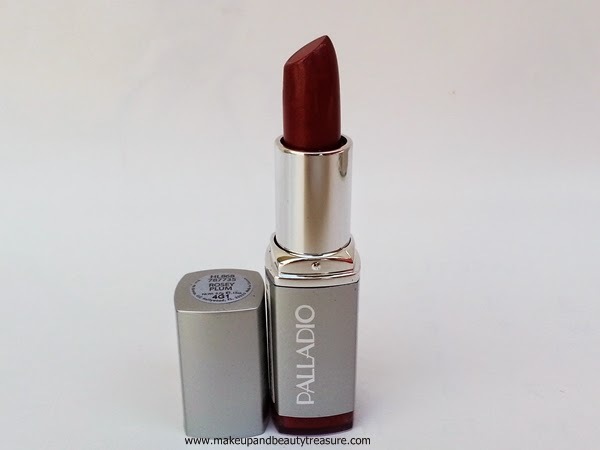 Paladio Herbal Lipstick that is worth Rs 650. More than you pay for your bag! 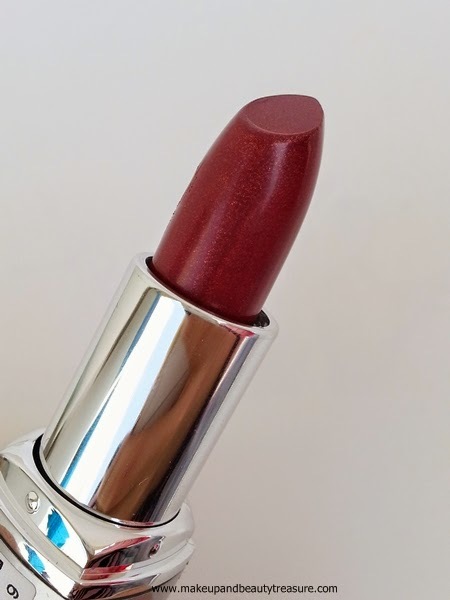 It is a gorgeous plum lipstick with pink undertones. It applies smoothly over lips but always make sure to exfoliate and moisturize your lips well. The pigmentation is pretty awesome and gives true color with just few swipes. 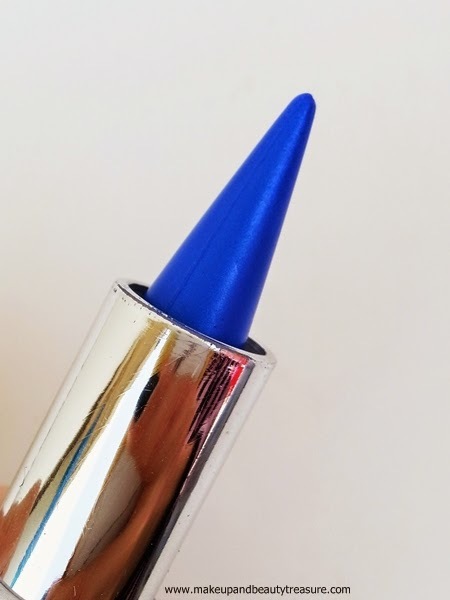 The lipstick contains very fine shimmers but settles down into semi matte finish. It stays on my lips for a good 5-6 hours with eating and drinking. Added bonus: it is HERBAL. 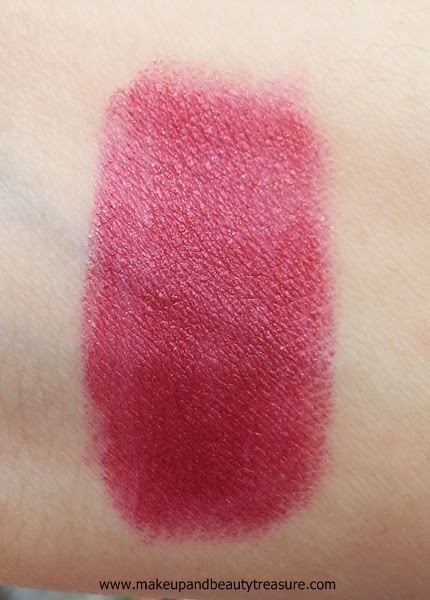 A gorgeous plum with pink undertones. 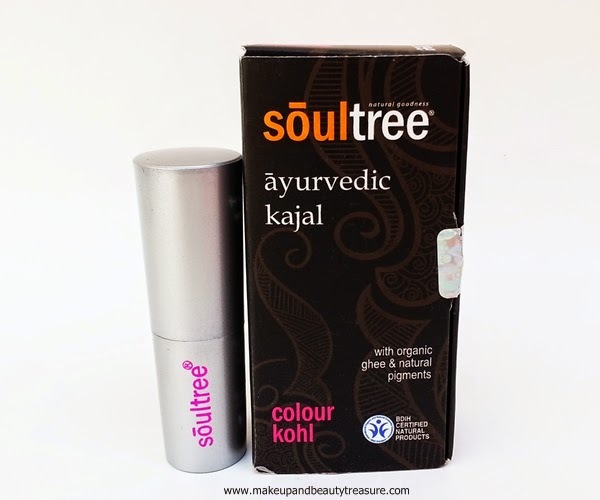 It is natural kajal and comes in many colors! 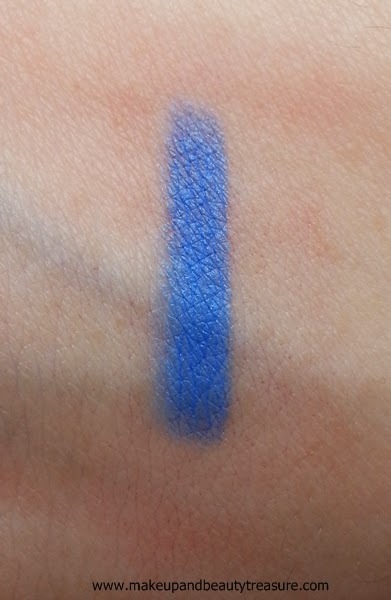 True blue looks very bright and neon-y in bullet but swatches beautifully on hands and eyes. It glides smoothly across the waterline and gives true color in 3-4 swipes. 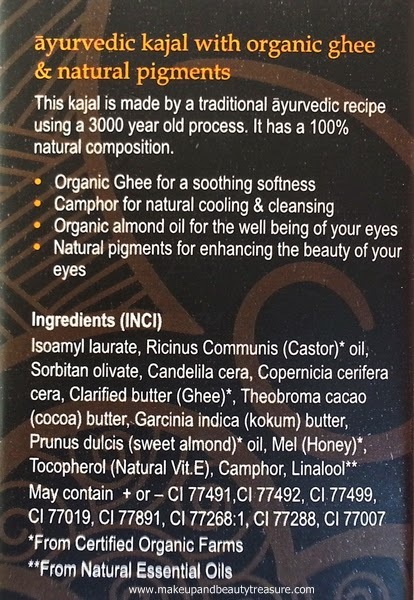 It contains natural pigment, camphor and organic ghee. 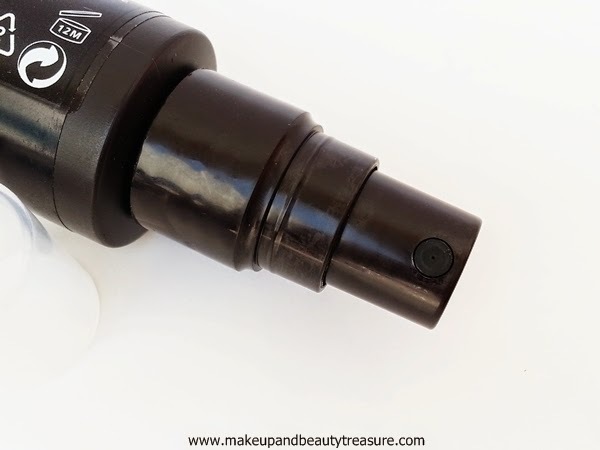 I particularly do not use this on waterline (I love only black on my waterline) but love using it on lower lash line for a chic eye look. It is free of parabens, lead and the packaging is light and travel friendly too! 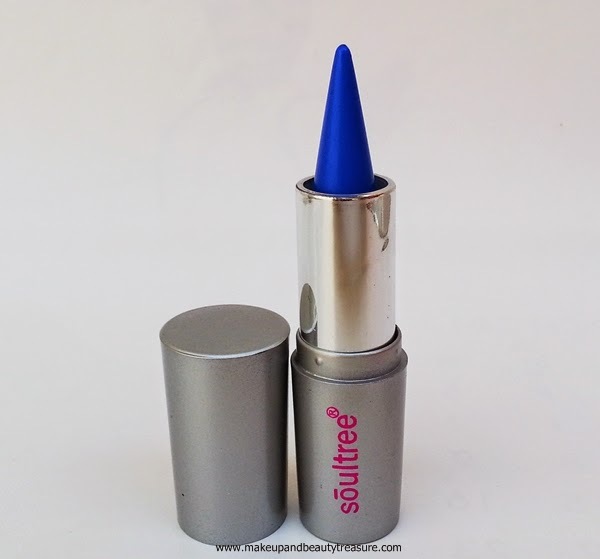 This kajal contains natural pigments so you are assured to use it on your waterline. 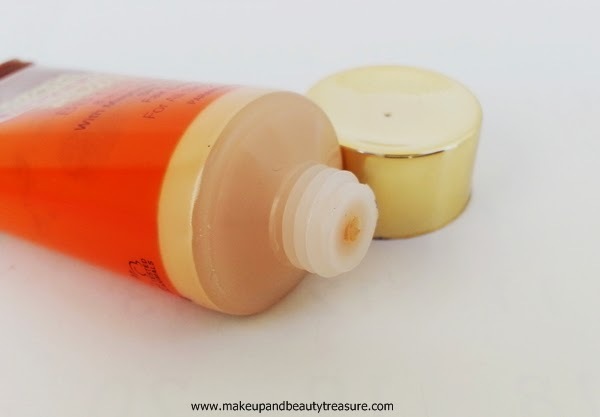 If you are a regular reader of my blog, you would have read my love for this BB cream (Read review HERE). 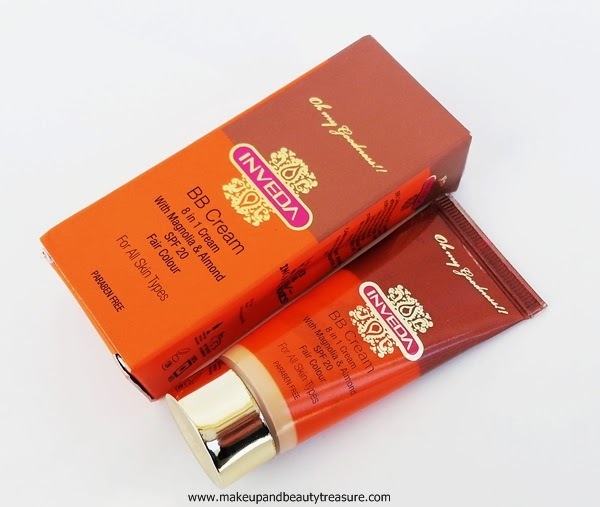 Inveda BB cream is the best BB cream I have used till date. 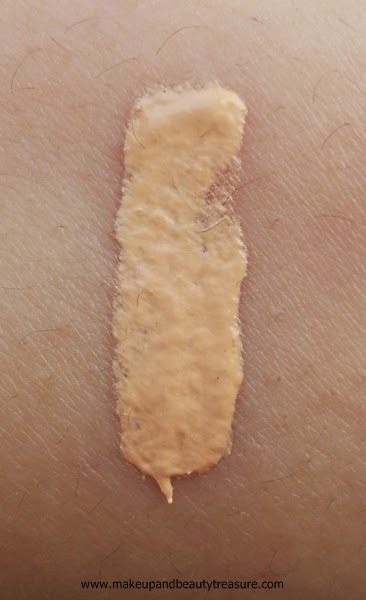 The shade matches perfectly with my fair skin tone and gives a beautiful natural finish to my skin. It moisturizes the skin giving it a healthy glow. It is natural and I would highly recommend it to everyone. I have fine hair and this spray gel adds a good volume to my thin hair. I use it before blow drying my hair. The scent is mild and pleasant and fades away after few hours. It adds lovely shine to my hair too. My only disappointment is the manufacturing date of the spray. I got old manufacturing date and it will get expire in November. 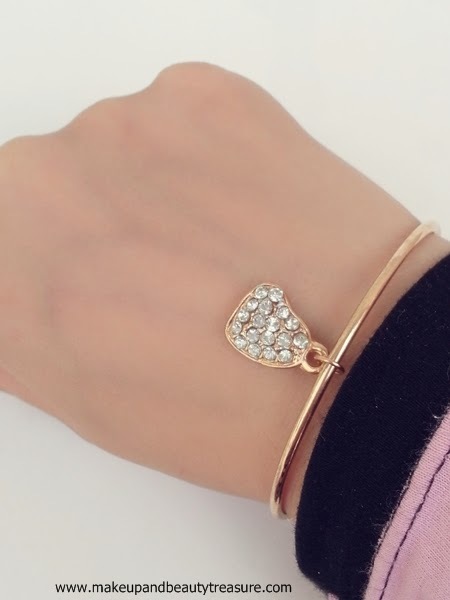 It is super pretty delicate dainty bracelet with a heart dangling through a loop. It looks really pretty on hands and goes well with almost all outfits. It comes nicely packed in a soft black case. A beautiful dainty piece on my wrists! • Contains 3 full sized makeup products. 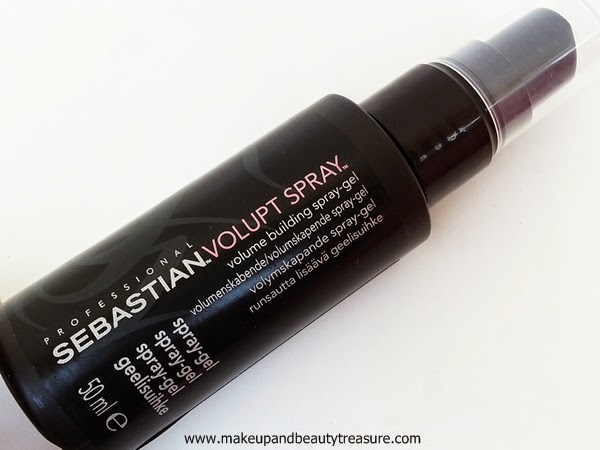 • I wish Sebastian Volupt Spray comes with a new date so I need not worry to use it quickly. If you are looking for makeup bag subscriptions in India then I would highly recommend March Fab Beauty Bag to you. 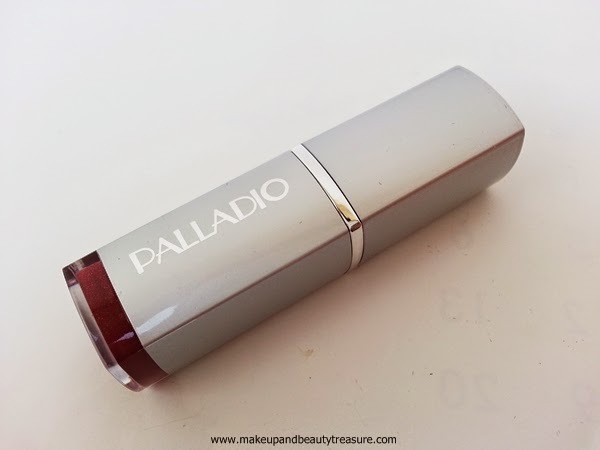 It comes with Palladio Lipstick which has already covered the price of the bag. It is perfect gift for any girl and the bag is super pretty too! Have you tried March Fab Bag 2015? How was your experience? Do let me know if you want full review for any of the products above. Share in the comments section below!